The Rehabilitation Studies program is a pan-Northern initiative administered by the Northern Ontario School of Medicine (NOSM). Learners from audiology, occupational therapy, physiotherapy and speech-language pathology programs are offered a wide range of challenging clinical learning experiences in equally challenging health care settings across Northern Ontario. Clinical placements expose learners to a variety of caseloads in a hands-on learning environment that provides insight into the unique cultural and geographical challenges to health care practice and delivery in the North. Learners receive a high-quality education experience and exposure to a variety of service delivery models and networks that are required for Northern practice. Interdisciplinary collaboration provides opportunities to work with a wide range of health-care professionals. Learners work closely with a preceptor and are provided with regular feedback and evaluations. Preceptors in Northern Ontario are enthusiastic and keen to mentor learners and to maximize their practice skills. They uphold a high standard of care and thrive on achieving patient wellness in Northern Ontario communities. 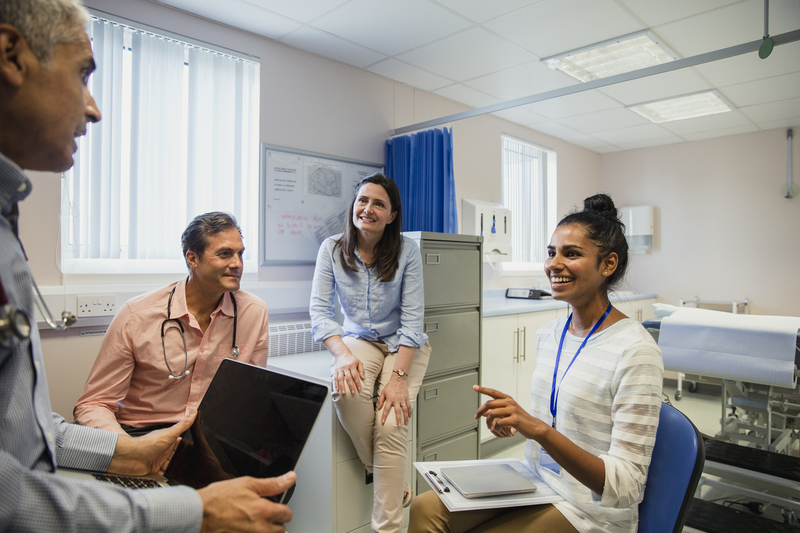 NOSM program preceptors are provided with the opportunity to attend clinical education workshops that are designed to meet their teaching needs. Placement duration is based on discipline-specific requirements. Placements are organized in consultation with the University clinical/ fieldwork coordinator in order to ensure that each learner’s educational needs and interests are met with appropriate choices of community-based learning sites. An evaluation of services and the learning experience is required of the learner upon completion of the placement.